It is not always as easy as in the above screenshot to spot the rogue app. However, checking the reviews, looking at the developer address and potentially other apps from the same developer provides a good first indication. 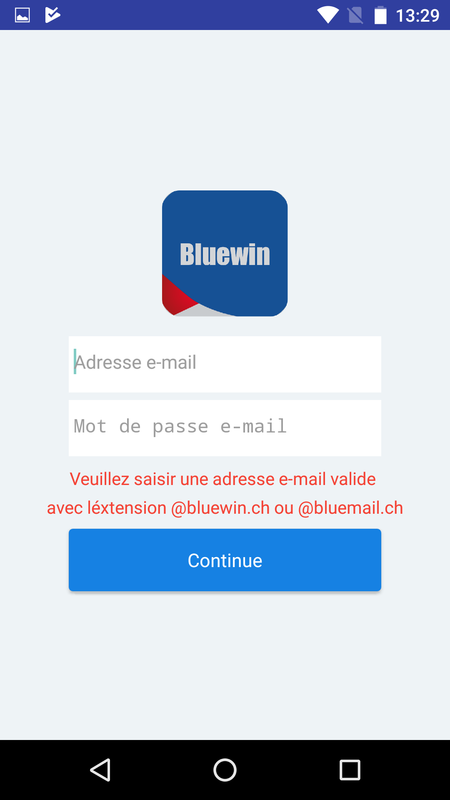 The rogue Bluewin app tries to steal the user’s email credentials. It is classical phishing but instead of a fake email it starts with a fake app. Below screenshots show the app icon and the welcome screen of the rogue app. Entered credentials are sent to an external URL where the attacker has access to this data. As an end user it is important to always check the legitimacy of an app before installing it. Rogue apps are common even for Swiss brands (See also rogue Postfinance app article on inside-it.ch). Where is it communicating to?